A revolutionary new line of nutrition dietary supplements brought to you by MU. Many of us today are often unable to obtain all aspects of our nutritional requirements based on our day-to-day dietary intakes. Living in today’s modern society, we are also exposed daily to high levels of electro-magnetic waves from electronic gadgets and equipment that we use on a daily basis; this on-going exposure to environmental free radicals and the consumption of processed, genetically-modified foods creates imbalance within our body which can result in long-term detrimental effects on our health and overall well-being. To maintain your skin’s optimum collagen level for youthful suppleness, consume 1 bottle per day before bedtime. 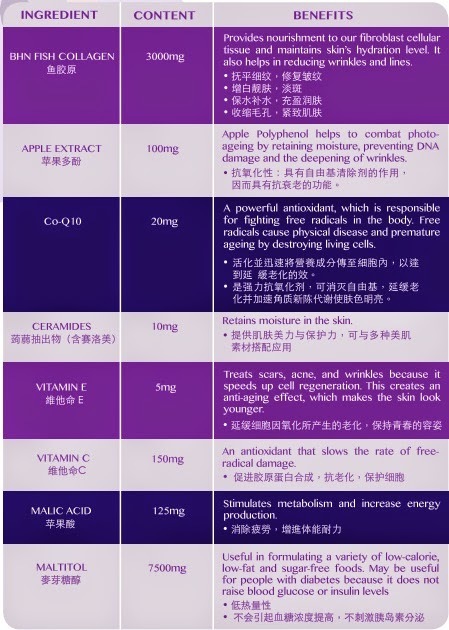 For best enjoyment of this premium collagen product, we recommend product to be chilled before consumption. Shake well before consumption; consume the entire bottle upon opening. 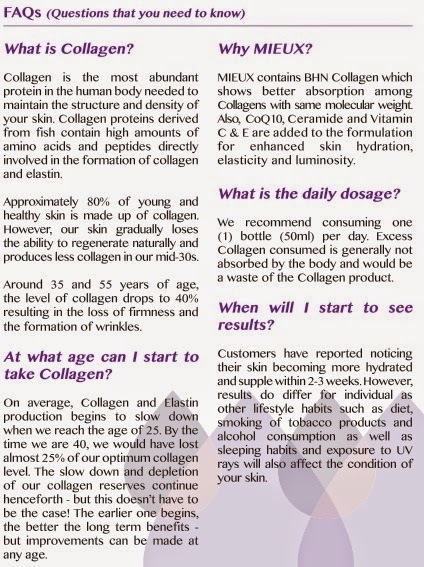 Complimentary Collagen Facial worth UPS$185/each for 1st 100 readers! ‘tebisha‘ and ‘Sample Store Exclusive‘ call 1800 250 2001 for redemption.